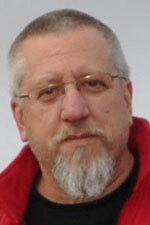 Michael Blitz, Ph.D. is the Founder, President & Chief Instructor of BLITZ KRAV MAGA. Michael holds the rank of Krav Maga 3rd Dan and was awarded the Master Practitioner 1 Diploma by the Israeli Federation of Krav Maga Instruction (IFKMI) in 2015. He has trained for over twenty-four years, both in the U.S. and Israel. Under the instruction of Krav Maga Grand-Master Haim Zut, world’s highest ranked Krav Maga instructor, Michael earned his Level 1-5 Instructor Diploma and his Brown Belt in 2001. Four years later, he received his Black Belt and Level 6 Instructor’s Diploma from U.S. Chief Instructor, Darren Levine, and the following year he completed the Krav Maga Force Training Course for Law Enforcement. For over 15 years, he has taught self-defense and hand-to-hand tactics to civilians, members of law enforcement, Federal Air Marshals, and military security in the U.S. and abroad, including in New Zealand where he was twice invited to train their Army and Navy security teams as well as over one hundred of the officers of Armor Guard, NZ’s largest private security force. He has trained security officers, supervisors and security-teams at businesses, private agencies, universities, and correctional facilities throughout New York State, New York City, and Long Island. In 2015, Chief Instructor Michael Blitz and Senior Instructor Michael Cohen created the B.L.A.S.T® program – Blitz Law-enforcement & Advanced Security Tactics as well as the Zero-Force/Rapid-Force® Advanced Security Training Program, now the official training program for security supervisors and officers at Madison Square Garden and The Jacob Javits Center in New York City. In addition to Krav Maga training and teaching, Michael Blitz is a Professor of Interdisciplinary Studies at John Jay College of Criminal Justice, City University of New York, and is the author of eighteen books. 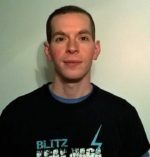 Michael Cohen is Vice President & Senior Instructor of BLITZ KRAV MAGA. Michael holds the rank of Black Belt – Dan 1/Expert Practitioner 2. He is co-director of the Zero-Force/Rapid-Force® Advanced Security Training Program and the director of the Kombat Kidz® program. A Special Forces veteran and weapons specialist of the Israeli Defense Forces (IDF), Michael has done extensive Krav Maga training both as a soldier and civilian in Israel and in the U.S. Since 2005, he has trained under Michael Blitz in both civilian and law enforcement defensive tactics and received his Level 4 Instructor Diploma in 2016. While living in Israel, Michael worked as a physical therapist and trainer to the athletes at the Maccabiah Games—Israel’s Olympic competition. He is New York State Certified Physical Therapist, specializing in early childhood development and sports-related injury and rehabilitation. Top notch. Professional. Excellent instructors. Recommend to all. Jay F.
The best training I have ever undertaken in martial arts. Top notch training center and the most professional and knowledge based instructors. Dean began his Krav Maga training in 2004 and has been an instructor since 2009. He holds the rank of Brown Belt/Advanced Practitioner 3. Dean is Quality Assurance Manager at Nature’s Bounty. Paul began his Krav Maga training in 2006 and has been an instructor since 2010. He holds the rank of Brown Belt/Advanced Practitioner 3 Diploma. Paul is Supervisor of Patient Accounts at Jamaica Hospital Medical Center. Todd has over eleven years of Krav Maga training and has been an instructor since 2008. He holds the rank of Blue Belt/Advanced Practitioner 1. Todd is a forensic science teacher at Ward Melville High School. Kevin holds the rank of Blue Belt/Advanced Practitioner 1 and was one of Michael Blitz’s early training partners in NYC. Kevin is Director of Learning Development Programs at Madison Square Garden. Frank began his Krav Maga training in 2003 and holds the rank of Brown Belt/Advanced Practitioner 3. Frank also holds a Brown Belt in Jeet Kune Do. He has been a Krav Maga instructor since 2007 and also teaches the Fight Scenarios class and the Advanced Fight class . Frank is an attorney and senior partner at the law firm of Mallilo & Grossman. Tim began his Krav Maga training in 2007 and has been an instructor since 2010. He holds the rank of Green Belt/Intermediate Practitioner 4. Tim is a Nassau County Police Officer and weapons specialist. In addition to Krav Maga, Tim also teaches with Michael Blitz and Michael Cohen in the Zero-Force/Rapid-Force Advanced Security training program. 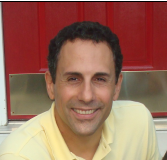 Fran began his Krav Maga training in 2003 and has been an instructor for over ten years. He holds the rank of Blue Belt/Advanced Practitioner 1. Fran is a family physician in the NYU Winthrop Family Medicine practice and Chairman of the Department of Family Medicine at NYU Winthrop. He is also Co-director of the Primary Care Clerkship and Assistant Professor of Family Medicine at the Stony Brook University School of Medicine. Craig began his Krav Maga training in 2008 and has been an instructor since 2012. He holds the rank of Blue Belt/Advanced Practitioner 1. Craig is Director of U.S. Regulatory Operations at Scotiabank. 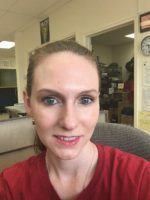 Rene began her Krav Maga training in 2005 and has been an instructor since 2010. She holds the rank of Intermediate Practitioner 2. Rene is an elementary school teacher. Angel began his Krav Maga training in 2010 and has been an instructor since 2014. He holds the rank of Green Belt/Intermediate Practitioner 4. Angel is Executive Director at Morgan Stanley. Alex began his Krav Maga training in 2013 and holds the rank of Green Belt/ Intermediate Practitioner 4. 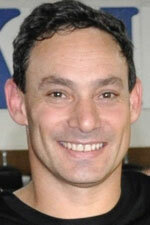 David Reinah began his Krav Maga training in 2010 and holds the rank of Brown Belt/Expert 1. He works in Information Technology at Nassau Community College. 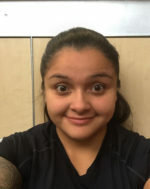 Melissa Granados began her Krav Maga training in 2011 and holds the rank of Intermediate Practitioner 2. She is a personal trainer and competitive power-lifter. Kim Paolella holds the rank of Inter-mediate Practitioner 2 and is also a women’s fitness instructor. Vinny began his Krav Maga training in 2008 and has been an instructor since 2012. He holds the rank of Brown Belt/Advanced Practitioner 3 and teaches adult and children’s Krav Maga classes. Vinny is a bricklayer. Tom Bagni holds the rank of Blue Belt/ Advanced Practitioner 1.